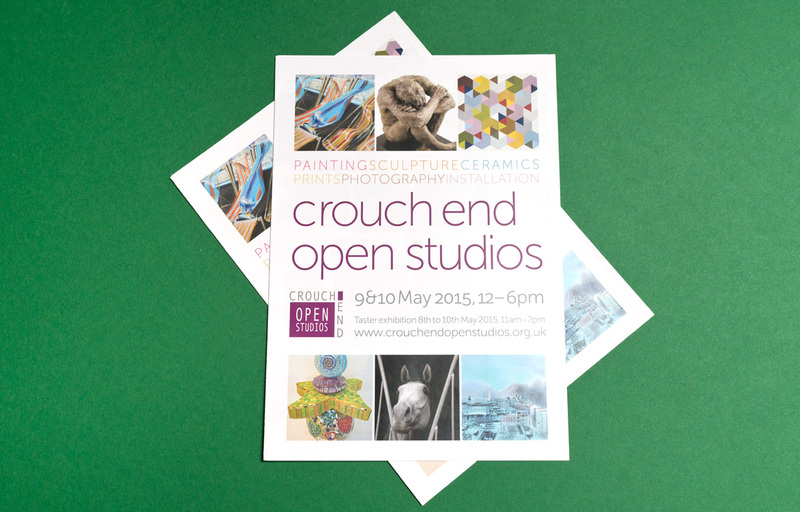 Crouch End Open Studios is a group of North London artists who invite the public into their creative spaces to view and buy work. 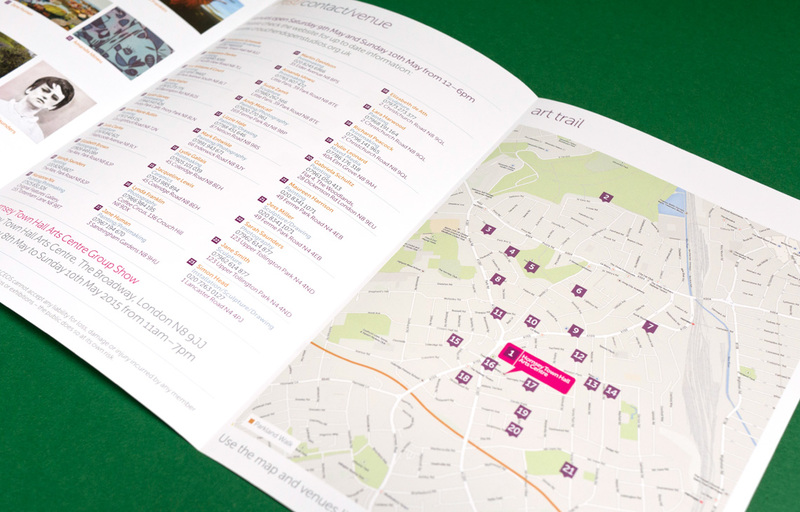 For their 2015 event, we produced a range of materials including leaflets, posters and html email invite. 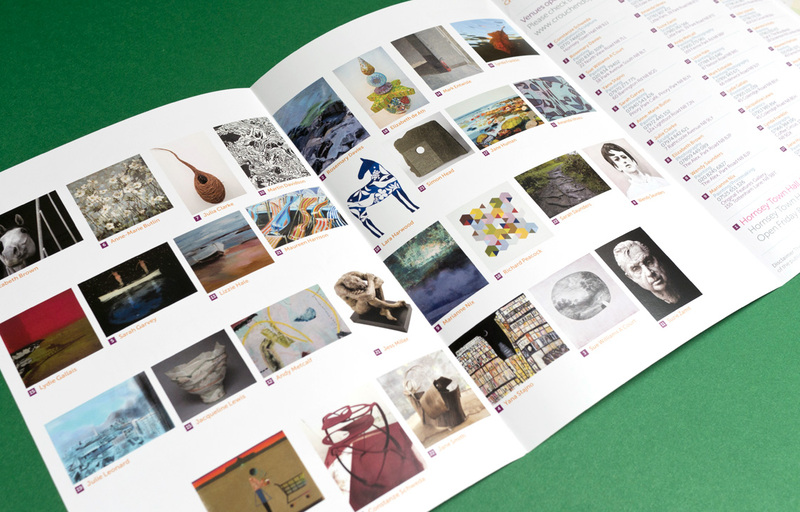 Their material contains a complicated mix of information, including content about artists and examples of work which are cross-referenced with a location map, numbered venues and opening times. Our job is to make it simple, clear and easy to use in a visual style that appeals to an audience with diverse artistic tastes, from representational painting to experimental film. The weekend has become a Crouch End institution, with the studios full of interested people and families, both local and from further afield.